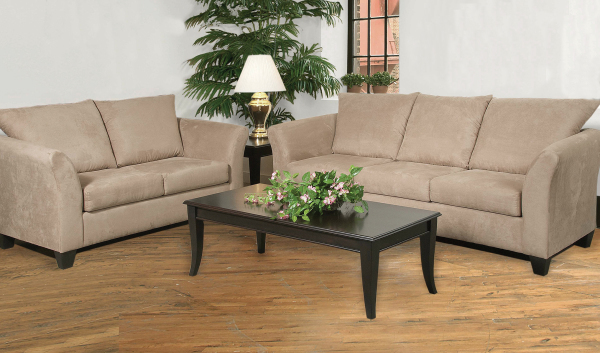 This product is manufactured with quality in mind. 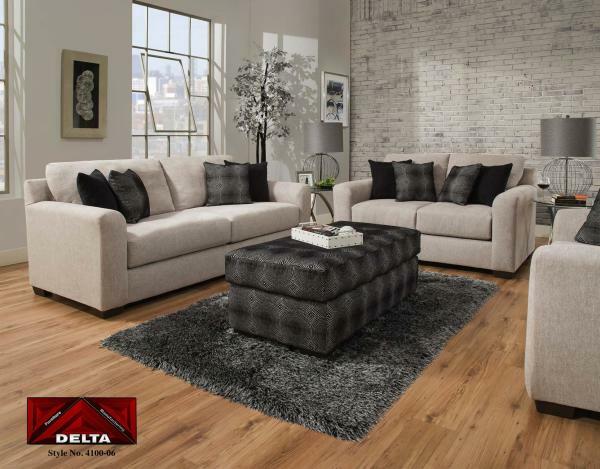 We also use recycled materials where possible to aid in design; giving you the best style, strength and value while minimizing environmental footprint. 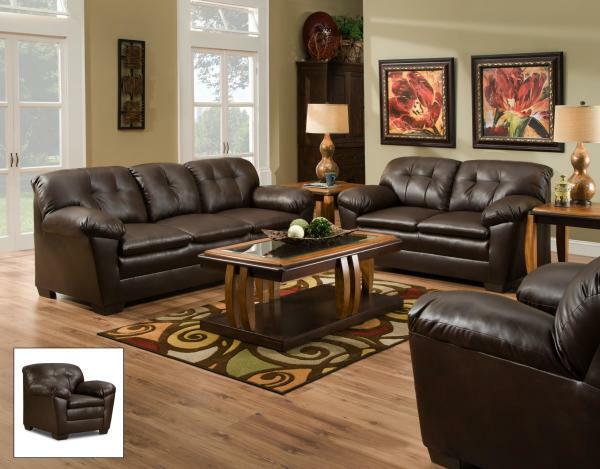 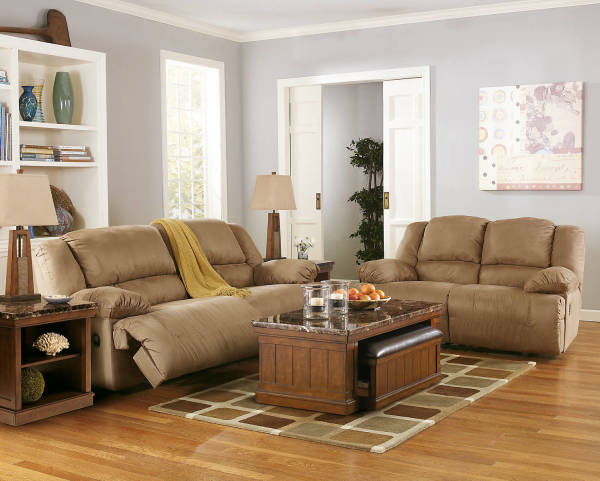 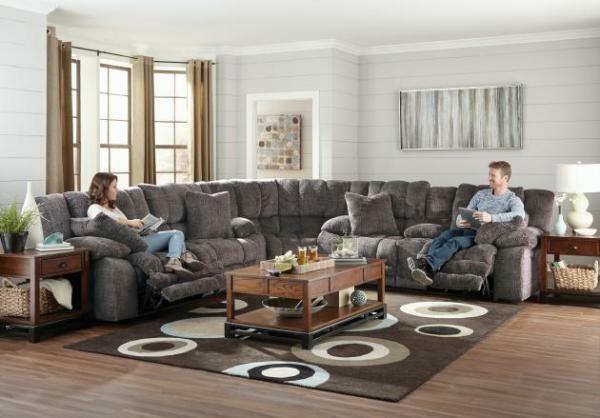 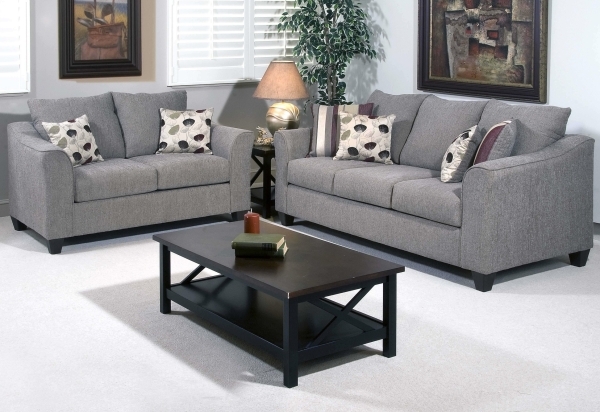 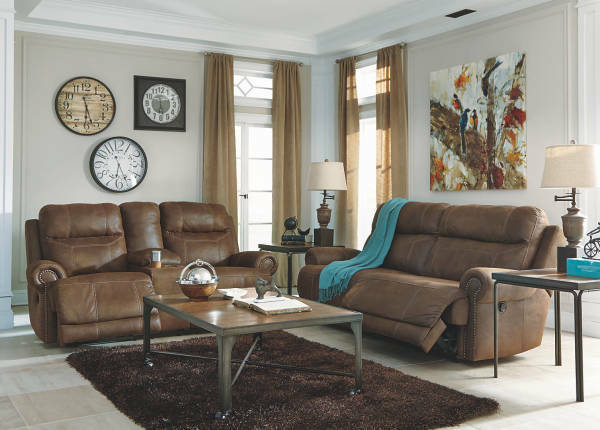 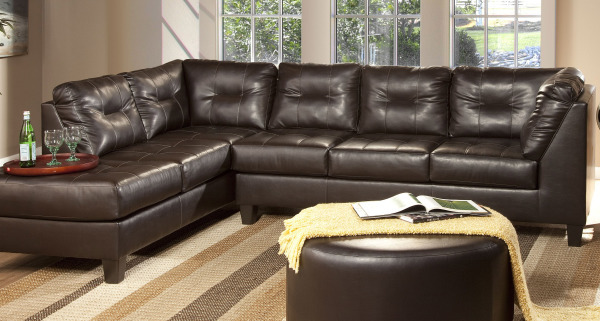 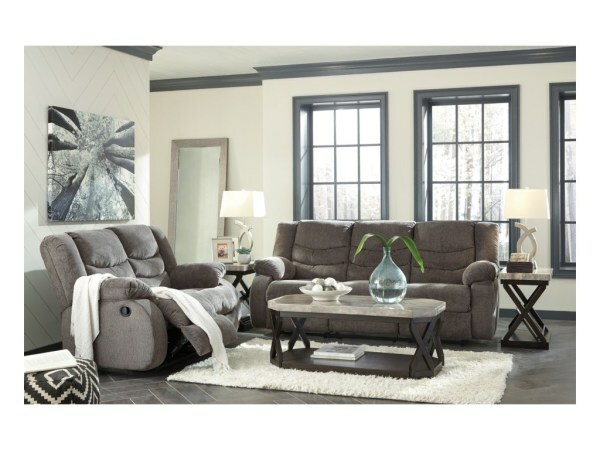 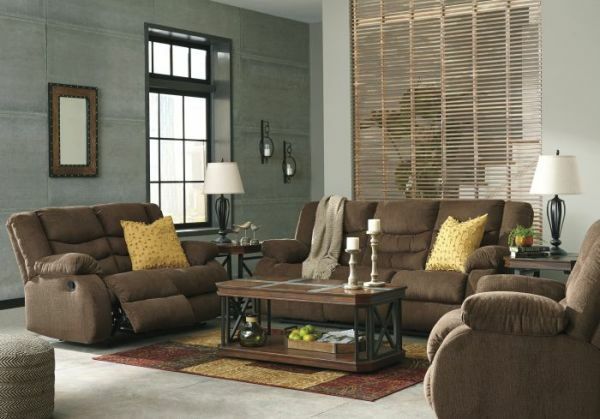 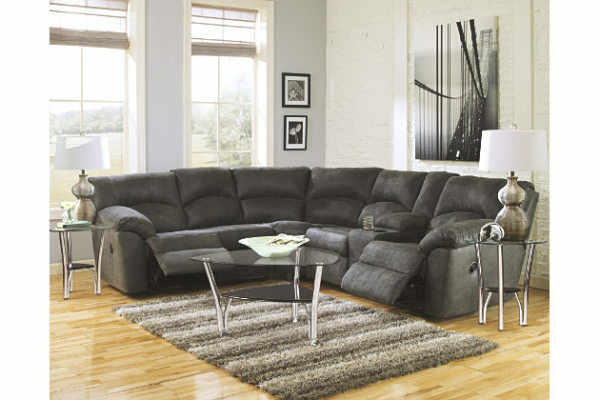 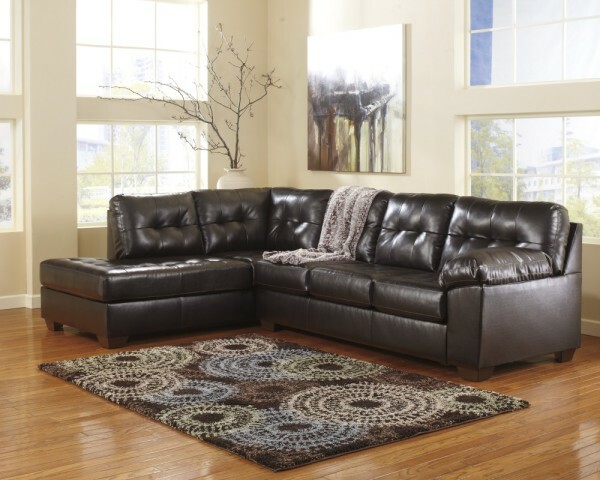 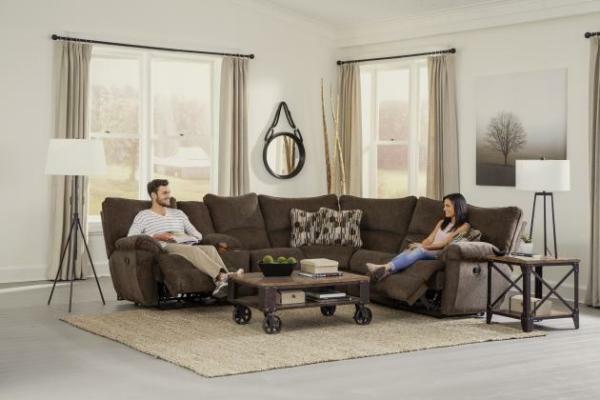 With supremely padded back, seat and arm cushions, this reclining sofa is the hero of comfort. 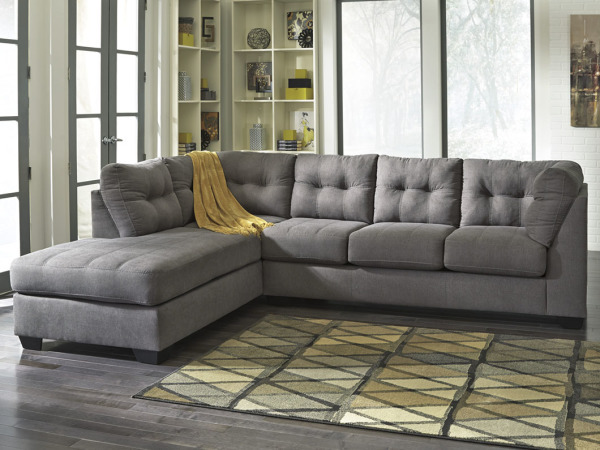 Microfiber upholstery is soft and sumptuous and the extra-wide seat is large enough to practically accommodate the whole family. 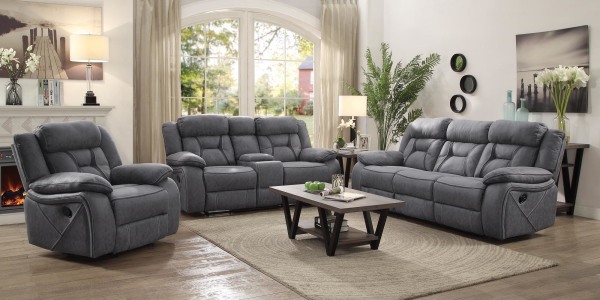 Recline the back and kick up your feet to bolster your comfort level even more.. 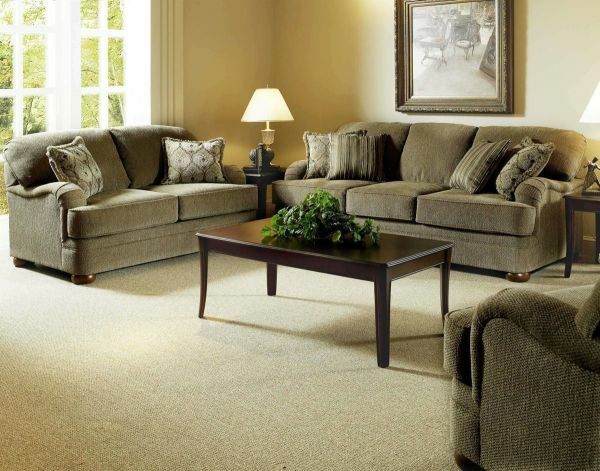 This product is manufactured with quality in mind. 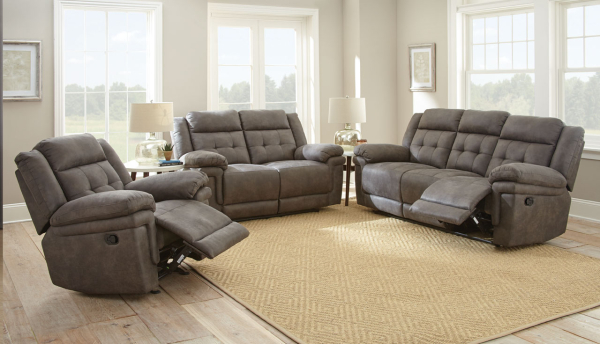 Recline in comfort with Anastasia. 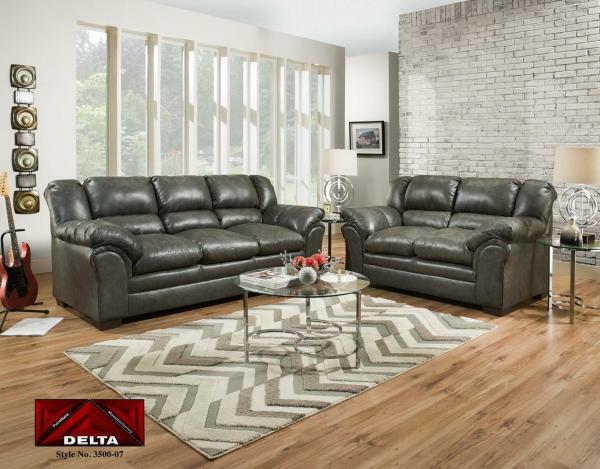 Double padded headrest and armrests combine with gel-topped memory foam seating and pocketed coils to make relaxation easy. 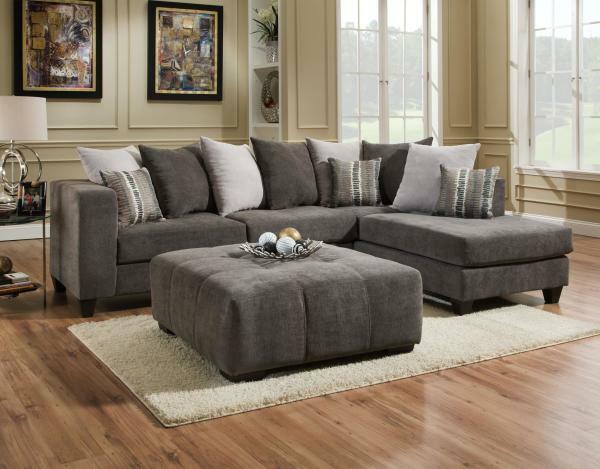 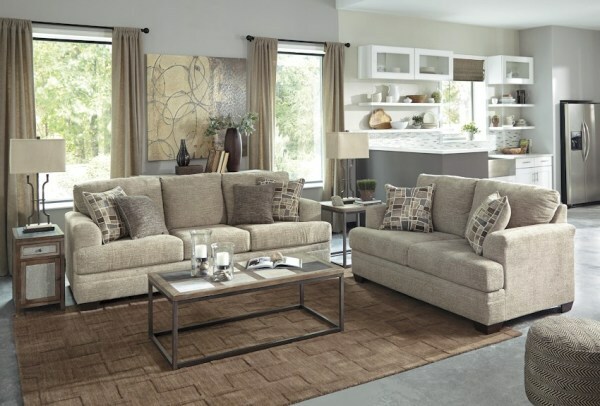 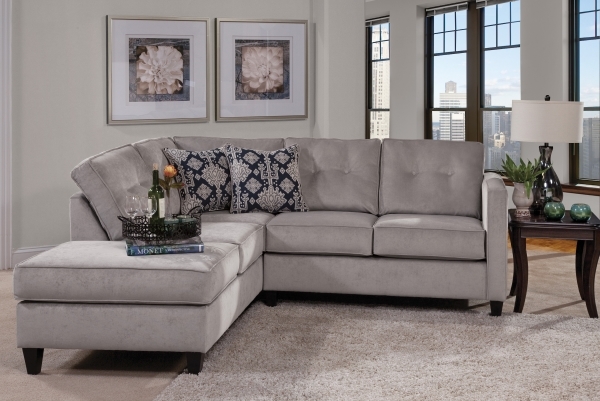 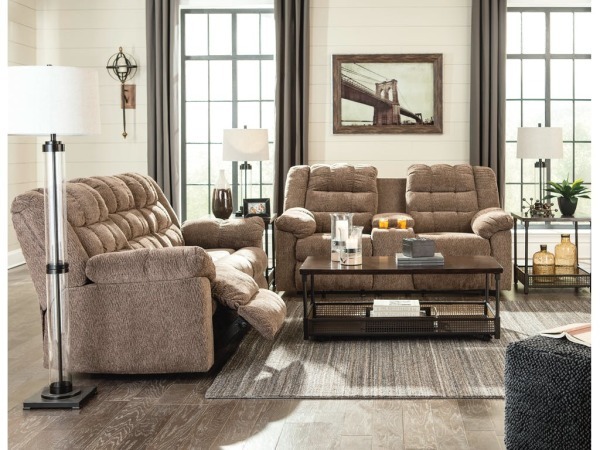 With its tufted back and grey fabric covering, Anastasia's transitional style will complement many decors. 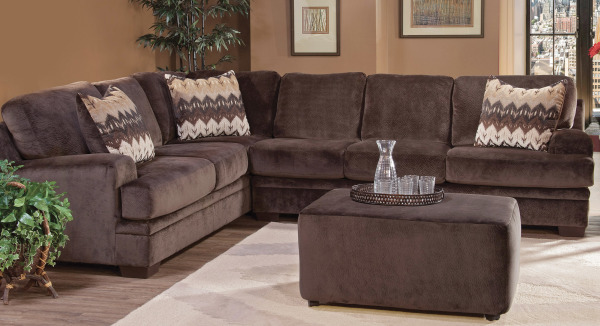 Relax watch tv on your sectional couch. 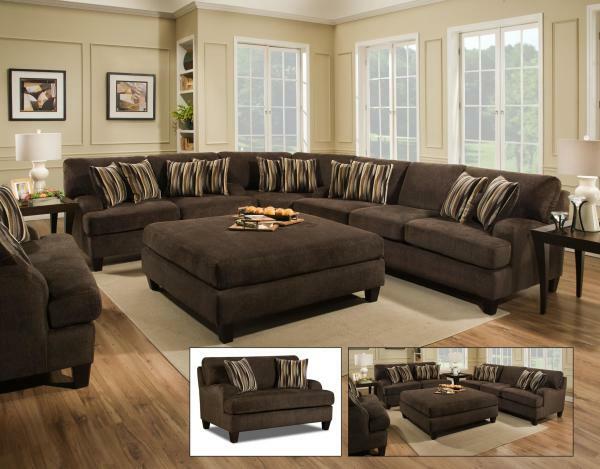 Luxury Sectional couch with reclining end seats. 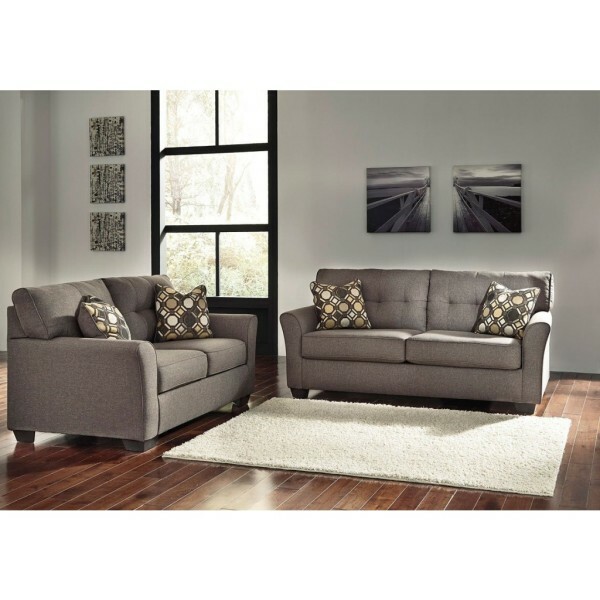 LIVING ROOM SETS TO CHOOSE FROM.